Did You Know About Our Senior Discount? Campbell Heating & Air offers a 15% senior citizen discount (age 55 and over) off of our everyday prices, on all plumbing and heating services. If you qualify please mention to us to take advantage of the discount. Please also feel free to spread the word to your friends! Save Energy – Benefits of Buderus Boilers and Heating Systems to Save Energy in your Home. It’s easy to save energy with Buderus. 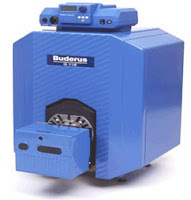 Buderus commercial boilers are designed to deliver high levels of energy efficiency, reliable heating, and a long product life. Manufactured in Europe to their strict safety standards, all Buderus products undergo rigorous quality tests to ensure total safety, durability, and outstanding performance year after year. Buderus offers advanced condensing technology in a compact, robust form—with high-grade components that meet every demand. All of that plus the freedom to use the available space as you want it, thanks to compact dimensions and the option of a balanced flue operation.